Resourceful and highly qualified strategic communications director with more than 25 years of experience in developing and executing high level strategy, managing full life cycle marketing efforts, and building strong customer and employee relations. Subject matter expertise in technology with substantial experience in human resources and financial systems. Established program manager with in-depth knowledge of margin improvement strategies, change management methods, and programmatic best practices in the federal contracting environment. 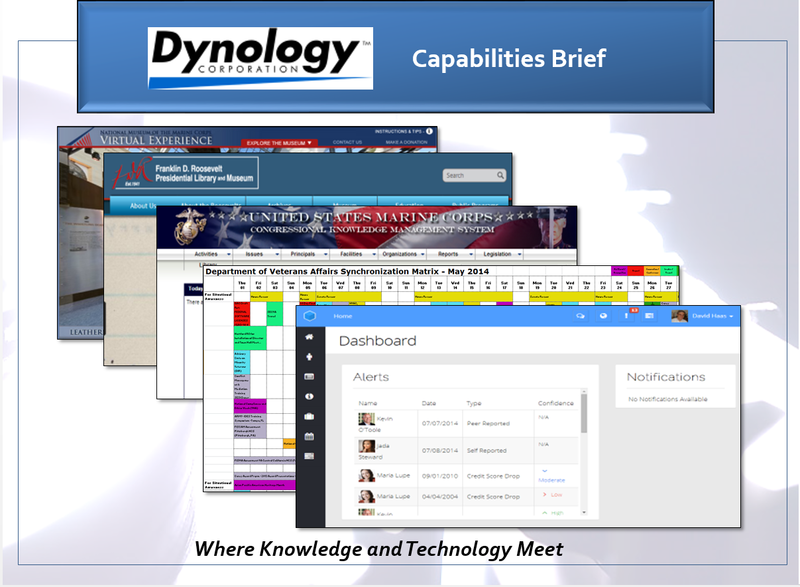 Created the strategy and plan used to reduce headcount at a Defense support agency by a third. Reduced the time needed to hire new University employees from 3 months to 2 weeks. 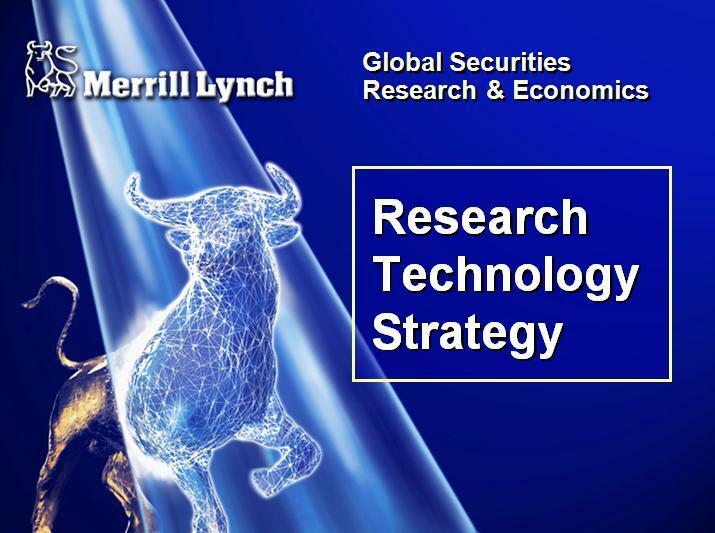 Developed the content management strategy for a Wall Street firm that cut research publication time by half. 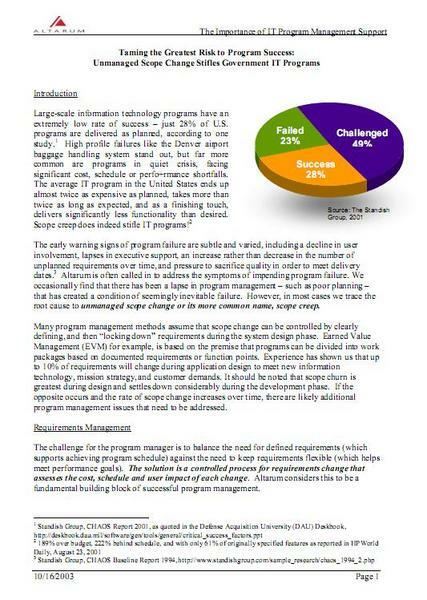 Evaluated organizational change readiness prior to ERP implementation at a Federal agency. Generated more than $225M in cost savings and cost avoidance through process reengineering. 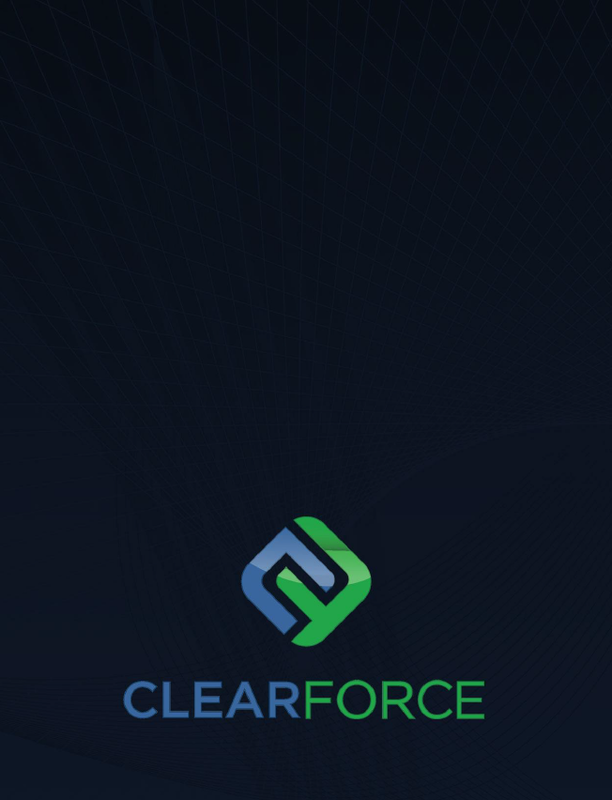 Original member of the team selected to launch ClearForce, a SAAS cybersecurity application that reduces enterprise risk. 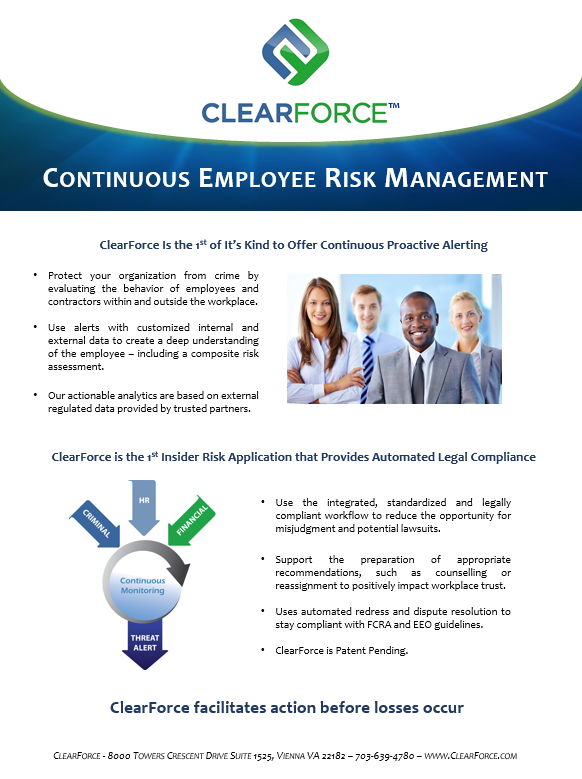 It delivers continuous employee assessment with a clear and legally compliant workflow. Spearheaded the corporate start-up, including naming, branding, messaging, market segmentation, public relations and communications. Conducted due diligence prior to start-up, including research into market size, competitive landscape and funding sources. Developed and expanded the sales opportunity pipeline by 300% with a fully vetted market analysis including Probability-Go, Probability-Win and required investment. Broad accountability for business development, project management and client support needed to support complex IT service delivery to customers in the military and intelligence communities. Managed multiple concurrent projects across a half dozen multi-year contracts which achieved reduced staffing requirements and margin improvement of approximately 150 basis points. 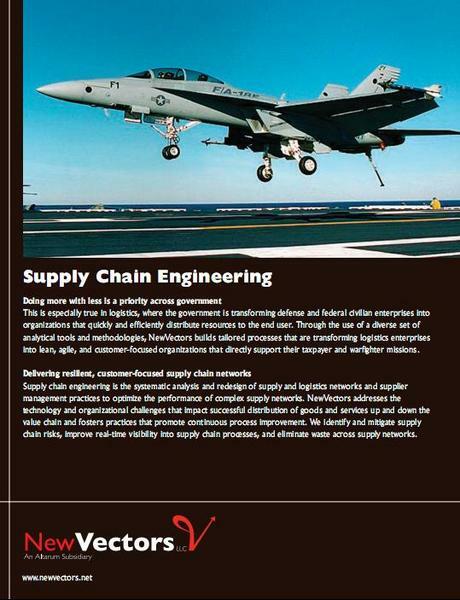 Led proposal development efforts that resulted in awards averaging +$2 million/year in new business with Office of the Under Secretary of Defense (Comptroller), Naval Sealift Command, Marine Corps Systems Command, and National Archives. 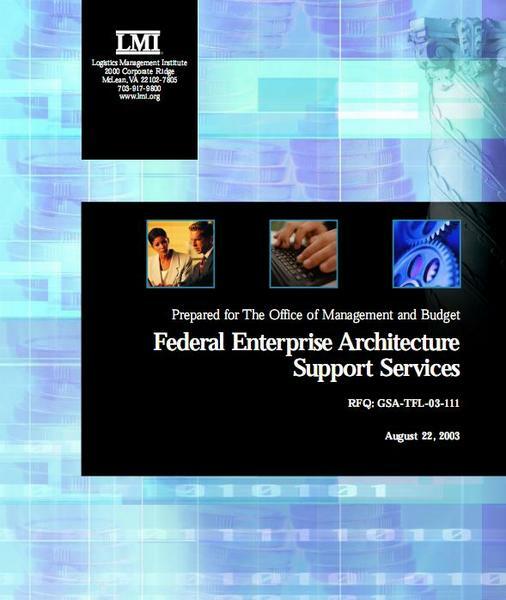 Managed both technical and functional staff in sustaining customer services across 24 federal agencies. 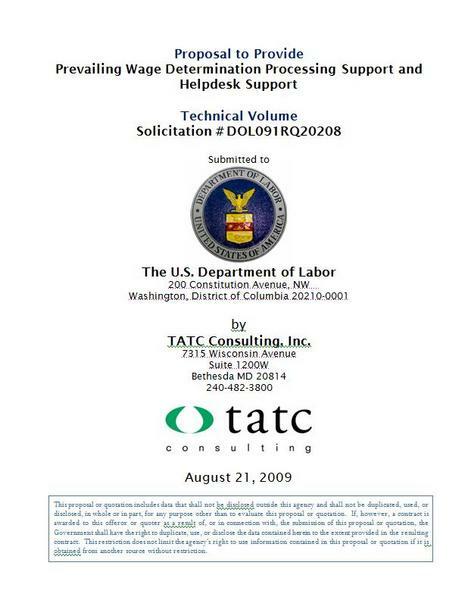 TATC provides human capital development support to the US Departments of Labor, Education and Health and Human Services. I provide leadership of business development, marketing, public relations and corporate strategy, reporting to President and CEO. 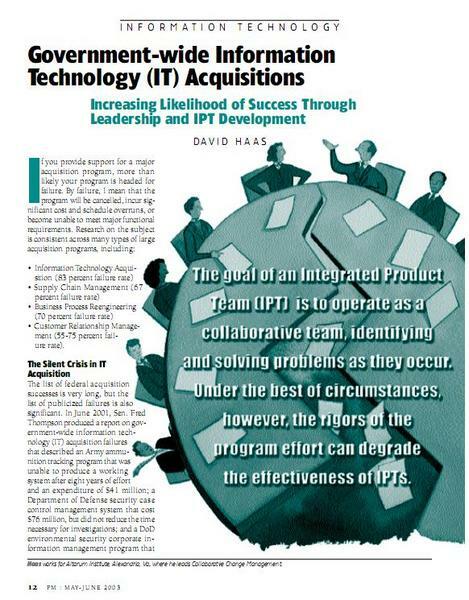 Acting project director for a $2.5M Department of Labor project, supporting prime contractor BottomLine Solutions (with TATC as sub) to turn around a troubled training and development initiative. Provide corporate communications, including website management, marketing collateral, and conference coordination; use best practice performance measurement to track impact. Oversee committees and integrated teams charged with improving customer and employee communications, quality assurance, and IT infrastructure; developed and promoted standard project processes and business procedures. Wrote more than 100 proposals worth $32M in 12 months, directing and managing a staff of two; consistently at 70% or above on win rate; achieved new business revenue goals for 2009 during 3Q. Create and deliver marketing collateral, white papers, briefings and other presentations to all organizational levels including company leadership. Manage staff and proposal teams, often producing multiple complex deliverables on time and within budget. Government post-award reviews repeatedly cite our high quality technical content. 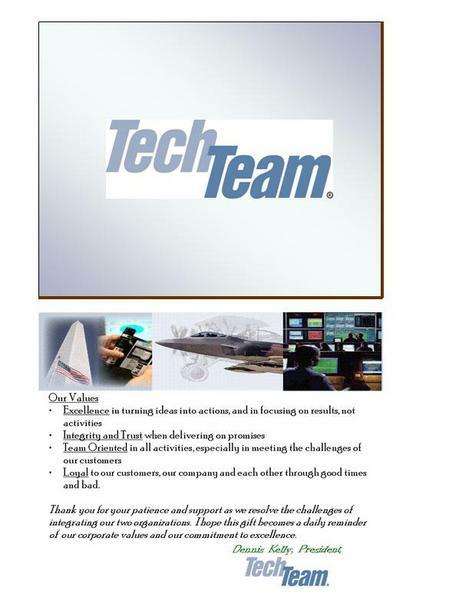 TechTeam Government Solutions provides program management support and managed services to federal departments and agencies with a focus on the Department of Defense. Matrix reported to the SVP of Business Development and EVP of Global Strategy. Planned and executed global marketing strategy, including development of new cross-divisional service offerings. Deeply involved in strategic integration of newly acquired entities; managed budgets and spending in the mid-six figures. Managed external communications - briefings, website, electronic newsletters, and graphic standards. Managed internal communications in collaboration with corporate HR. Corporate point of contact for public relations, including press releases, article placement, media contact, and promotions. Developed and delivered sales and media training. Provided branding oversight by creating logo and tagline, preparing associated marketing collateral, and promoting the change in client meetings, conference presentations, and advertising. Wrote government proposals and task order responses, submitting over $400M in successful bids. 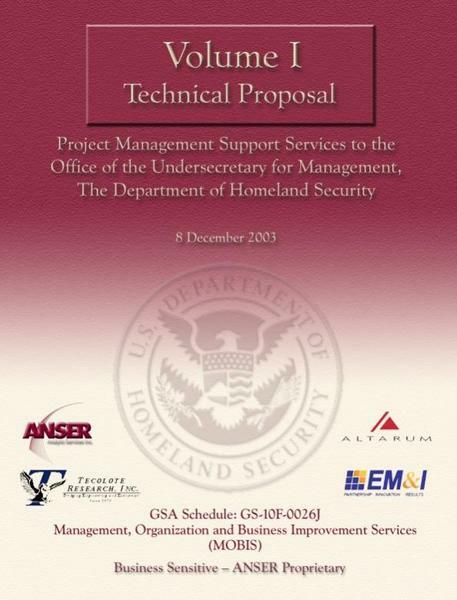 Developed proposal and past performance libraries, established a formal review and approval process. Evaluated the impact of the 1993 Defense Acquisition Workforce Improvement Act on +10,000 staff in a Defense agency. Developed a comprehensive profile of the global workforce and delivered improvement recommendations. 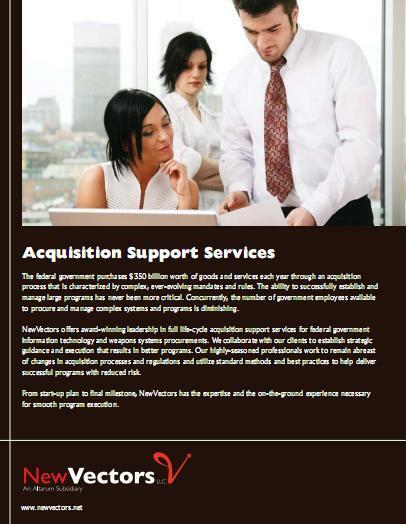 Designed and conducted the organizational readiness assessment for an independent agency's major IT conversion program. Used results to develop change management, communications and training plans. Repeated the assessment yearly to determine progress toward goals. 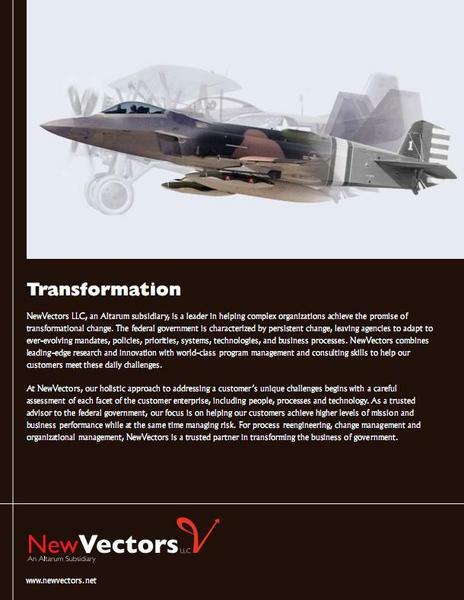 Partnered with a defense agency to develop a governance model and operational strategy in response to a leadership decision to outsource operations. Led a team that conducted economic, organizational and legal research to identify alternatives including merger and outsourcing. 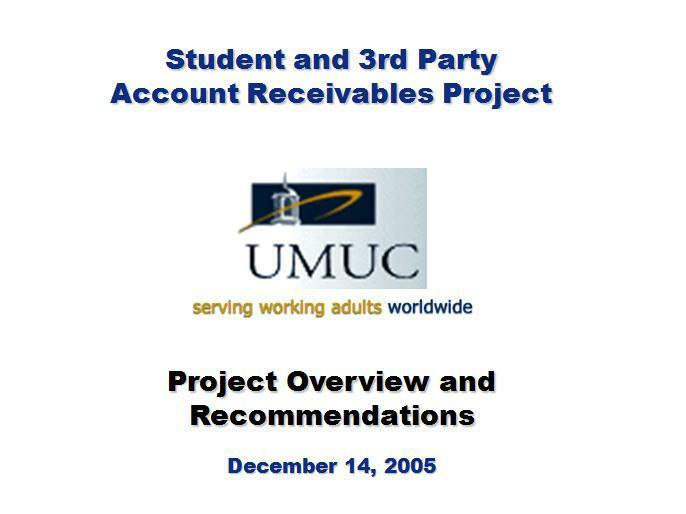 Interim program manager for then-largest financial upgrade project in the government. 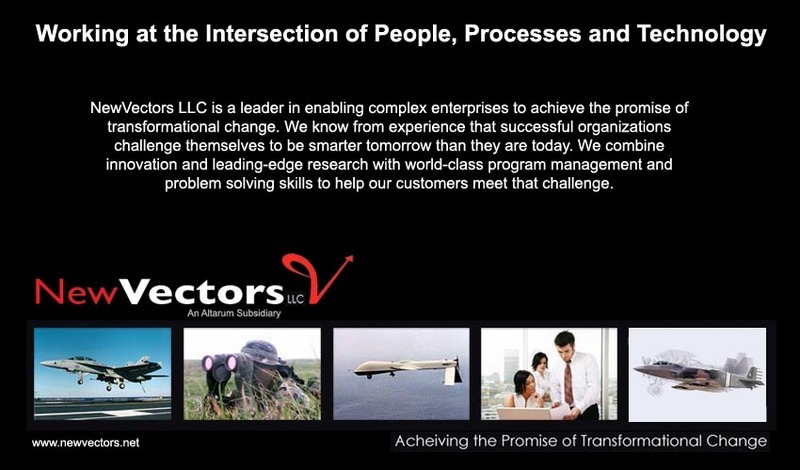 Hired and managed 17 staff members; established project schedule, managed cost, performance, and risk; developed organization reporting structure. Led a project team to evaluate as-is processes, identify improvement methods, and develop plans to achieve business improvement objectives for a large government agency. Provided the first true picture of activity-based administrative costs for the agency.